Boiled potatoes wipe on a grater, add yolks, half of diced onion and spices. Mix the dough well. Afterwards add stiff beaten egg white and stir them carefully with the potato dough. Put the baking paper on the bottom of the baking dish and translate half of the potato dough on it. 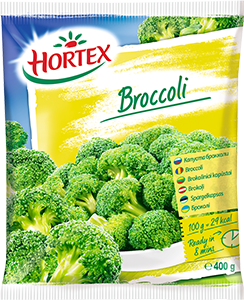 Spread it precisely in the whole form and place on it defrosted broccolis. In the end cover the broccolis with the rest of the potato dough. On top of the cake place slices of bacon. Bake at 180°C for ca. 40 minutes. Fry the champignons with onion and spices and in the end sparkle with parsley. 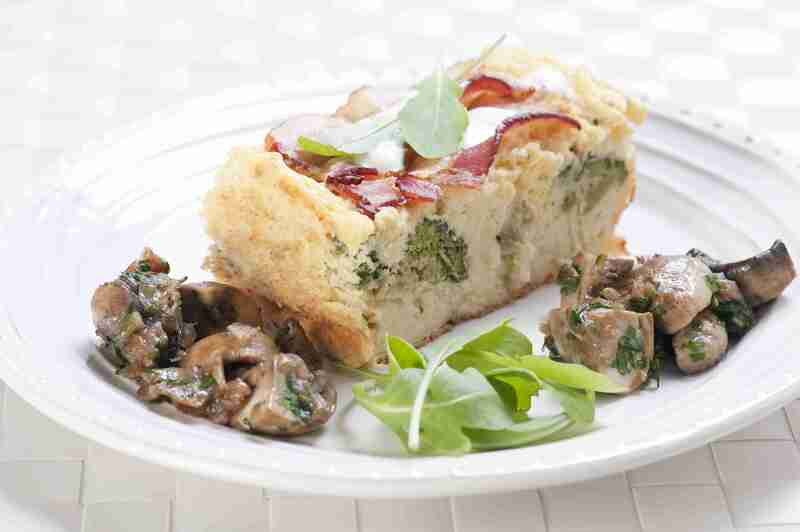 Serve slices of cake with champignons, sour cream and arugula.